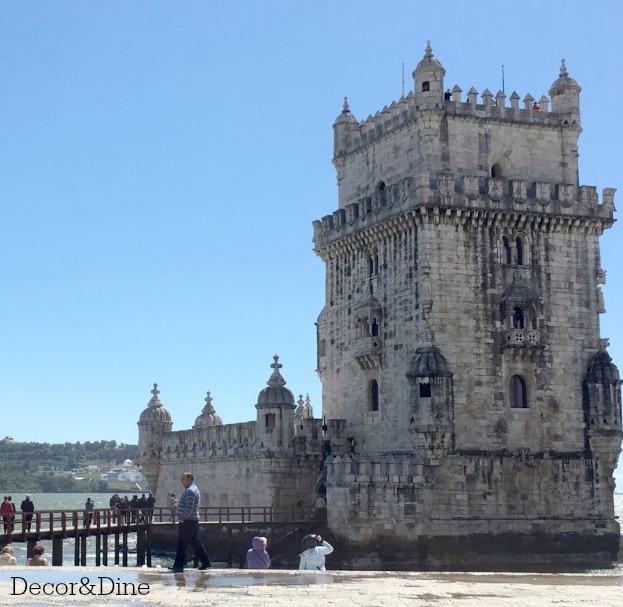 Belém, also known as Bethlehem, is 4 miles from the center of Lisbon. There you will find many of Portugal’s beautiful architectural buildings and landmarks. 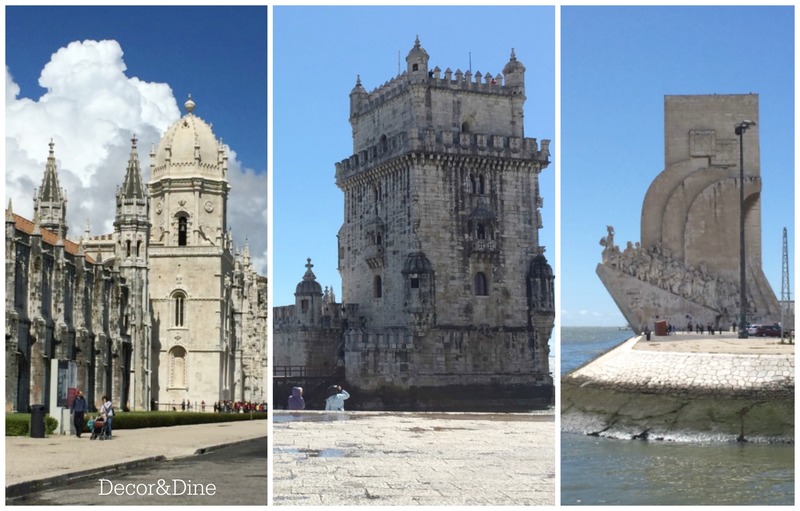 Belém is famous for it’s 16th century tower (Torre de Belem) completed in 1521 and built to guard the port. The tower is a symbol of the town and a popular tourist attraction. 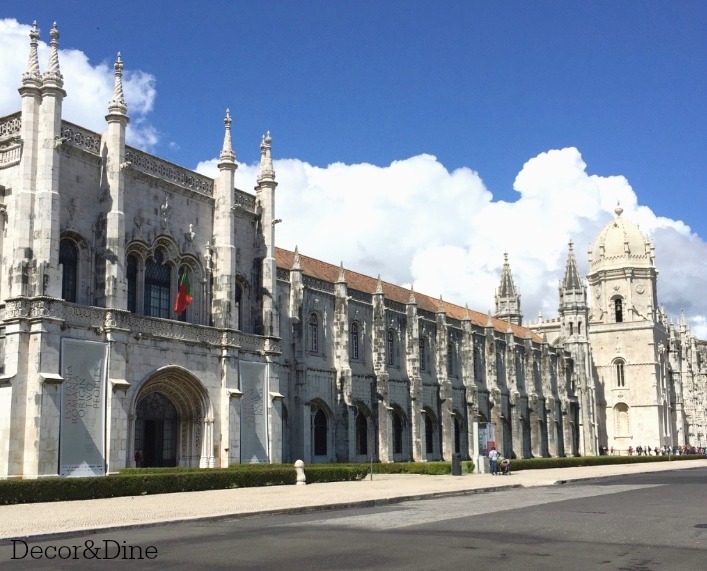 The beautiful historical monument, the Jeronimos Monastery (Mosterio dos Jeronimos), built in 1501 encases several royal tombs and the famous explorer Vasco da Gama and poet Luis de Camoes. This in itself is worth a visit. The site is recognized by it’s religious and cultural significance and named a UNESCO World Heritage Site. My first visit to the Monastery was to attend a friend’s wedding in 1982. 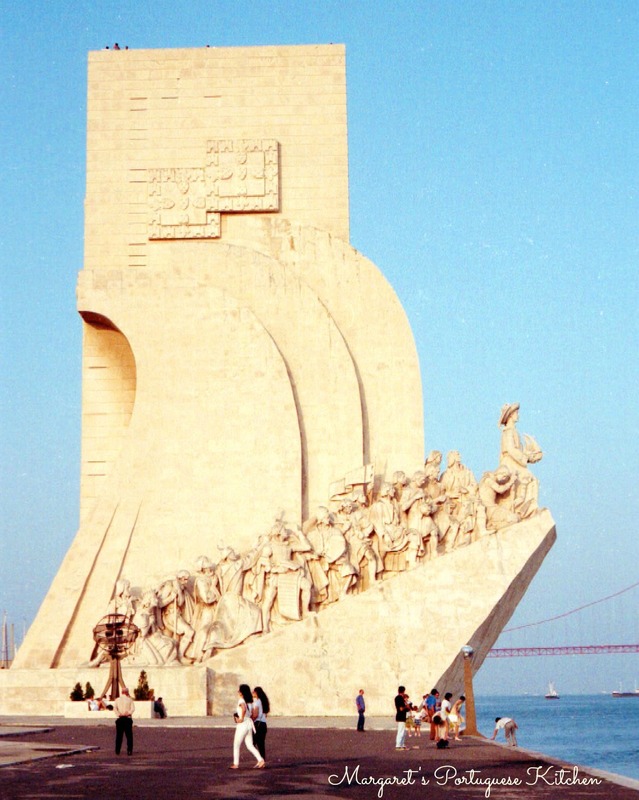 As a prominent figure in Belém’s waterfront, the Monument to the Discoveries (Padrao dos Descobrimentos) was built to resemble the sail of a ship. In 1960 the 52 meter high monolith was inaugurated to celebrate the 500th anniversary of Henry the Navigator’s death. The monument honours the historical Portuguese explorers of the 16th century. On the ground you will find a mosaic map of the world set in marble. The map indicates the dates that each land was sighted. At night this distinguished monument is submersed by light. 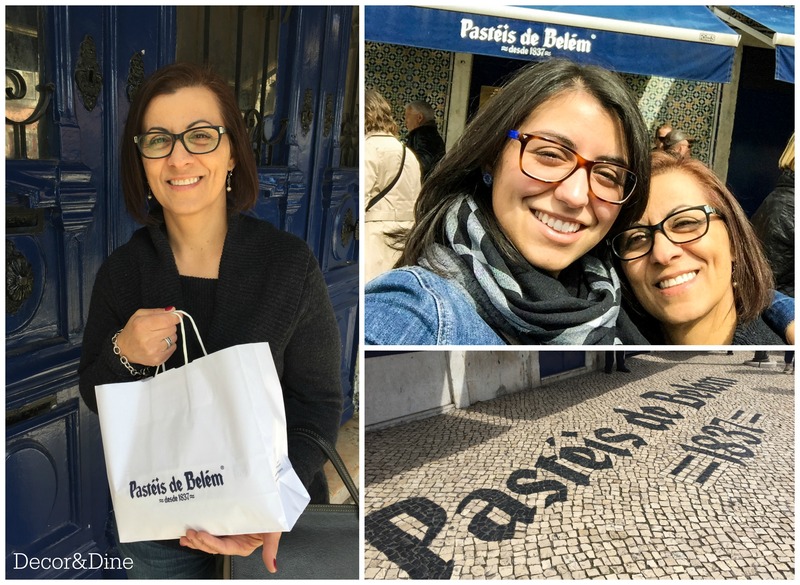 The famous Portuguese pastry shop, Pasteis de Belem, began baking the Portuguese Custard Tarts in 1837 using a secret recipe from the Jeronimos Monastery, which remains unchanged to this day. The shop is a Portuguese landmark. Be aware that there will be line-ups to purchase this delicacy but it’s definitely worth the wait. So delicious!!!! 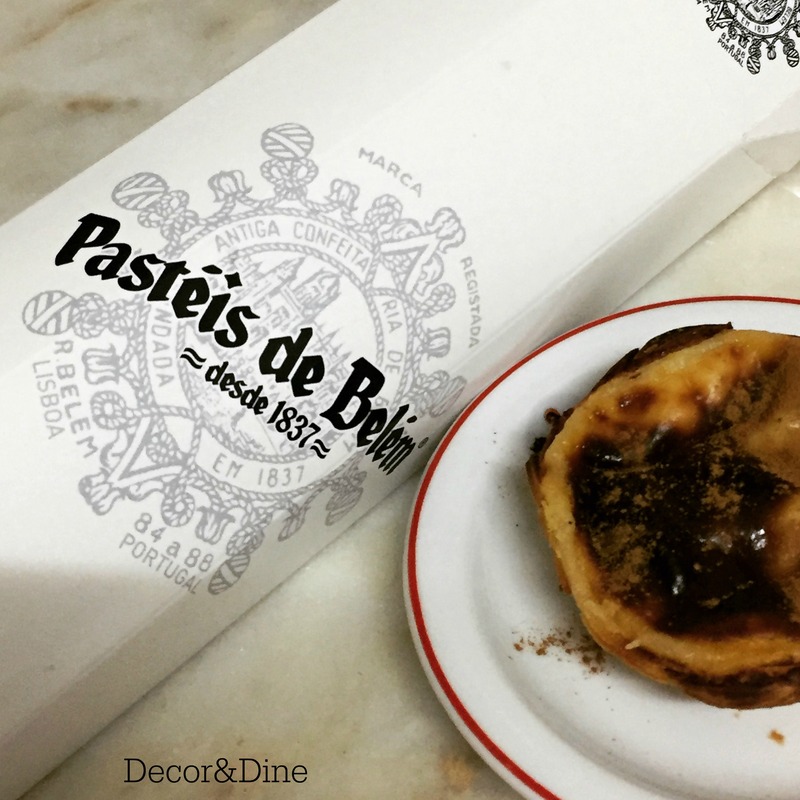 There are slight variations of the recipe for the Portuguese custard tarts, also know as Pasteis de Nata. One recipe that I like can be found at Leite’s Culinary. 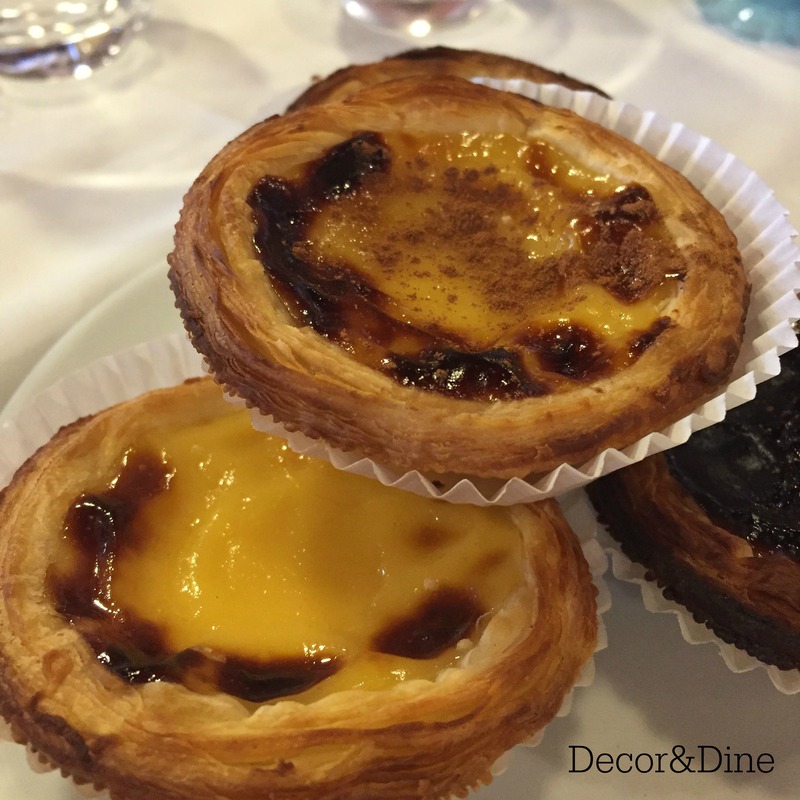 The pastries are fabulous, you can get custard tarts every where in Portugal but these are special and yes it is a great city to visit. Thanks for coming by Sandra. This looks like something I would love to try and the architecture here is beautiful.